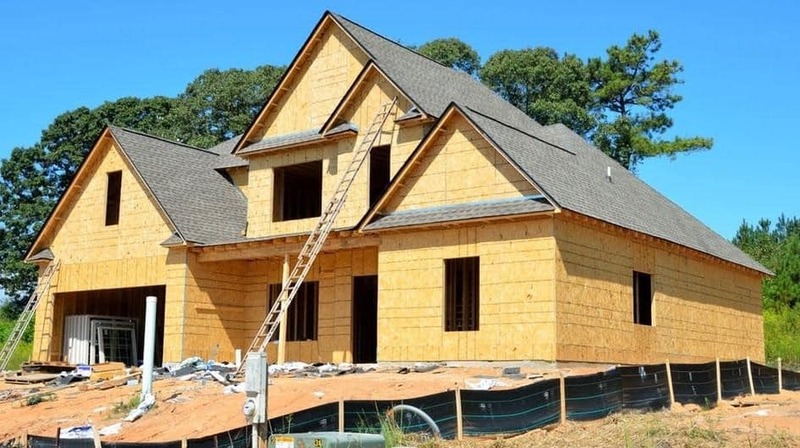 What is the Process of Building a Home? For those who have never experienced the process of building a home, you are truly missing out on something extraordinary! The process of building a home demonstrates how much planning and forethought must go into the process to ensure that everything is done to specification. Our team of Boone construction workers are privileged to see this process unfold every day, and help to bring the vision to life. We’ll walk you through the process of taking a bare piece of land and turning it into a livable home! The first step in preparing your lot for building is to have the site measured and staked out according to the exact dimensions of the foundation. Once the home has been staked out for the exact dimensions of the floor plans, the foundation can then be dug out and poured. It is at this point of the process that things will really start to move upwards! Once the hole is dug, the load bearing walls will be created to hold up the rest of the home. Once the load bearing walls are in place, the frame of the home can then be constructed. As the framing goes up, you’ll be able to see the size of each of the rooms of your home, and get an idea of how the home is going to look on the inside. Once all of the framing is completed and inspected, the next step in the process is to close up the home. It is at this point of the construction process that everything on the exterior will be installed, protecting your home from outside elements. During this phase you can expect to see the roof get shingles, and the windows and doors installed. Before you can close up all the walls in your home, you will need to have all of your utilities installed correctly. During this phase, the water lines, electrical wires, sewage, heating, AC, and other utilities will be installed in your walls. This phase of the process can be pretty hectic! Once the utilities have been correctly installed and passed off by the inspector, your home is then ready for insulation and dry wall. The insulation is used to keep your home energy efficient and the dry wall goes on top to turn the wood frame into a wall, with a flat surface. This is the final stage of putting everything together inside your home. All the lighting fixtures will go into place, walls will be painted to the desired colors, carpet and flooring will be laid, and cabinets will be installed. The final stages of design occur on the exterior of the home, where the landscaping will begin to take shape! As the most trusted Boone construction company, Fairbanks Home Builders can help you go through the home building process, and build the home of your dreams!